Unused Concept Art: What to save from the junkyard? Someone over in the GK thread noticed how one of the characters (who I'll leave nameless just to avoid potential spoilers) bore an resemblance to a prototype design for Phoenix Wright. If one unused concept art seemingly managed to see the light of day again, isn't there a possibility that other scrapped designs will manage to find a new purpose? Therefore, I propose this thread so we can discuss what unused character concept art can be reworked for use in GS5 and beyond. 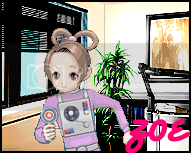 Personally, I'll vouch for the recycling of Edgeworth's prototype design as seen here. I doubt this design would be used for a new prosecutor, but I think it'll do nicely for someone like a mob boss or corrupt politician. Re: Unused Concept Art: What to save from the junkyard? Actually, the character you are trying to say was based from Phoenix's concept art was modeled in a staff member of the development team. So this is just a coincidence. 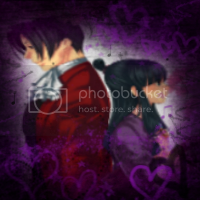 And that Edgeworth concept... Looks like Karma. A new character with that looks and attitude would be too much like Karma. They probably used the ideas they had for Edgey and modeled Karma from them. That one where Concept!Edgey has a cane looks a lot like a piece of Manfred's official art. But maybe, it wouldn't be bad... There's a concept Lisa Basil that looks like a child show's host that could be used as a brand new character altogether, since it doesn't look at all like Lisa. That's just to mention one, there are a lot of possibilities out there. Actually, the character you are trying to say was based from Phoenix's concept art was modeled in a staff member of the development team. I was referring more to the clothing on that concept than the person's face itself. That one where Concept!Edgey has a cane looks a lot like a piece of Manfred's official art. You make good points, but I can't recall Manfred having a cane whatsoever in his GS1 sprites. However if Concept!Edgey gets reused, perhaps his sprites can either make more animated use of a cane or just omit the cane altogether. Concept!Edgey furthermore still looks far younger than Manfred. Finally, there's nothing to suggest that a recycled Concept!Edgey would retain Manfred's attitude; frankly Concept!Edgey gives me the same vibes as Vamp from Metal Gear Solid 2 and 4. Anywho, I just had a look at the old Lisa Basil character design and yeah it seems like it can find new life as a different sort of character. Last edited by Cohdopia Over All on Sat Mar 06, 2010 11:27 pm, edited 1 time in total. ...Are you talking about Buddy? B/c the only real similarity I see is the hat. 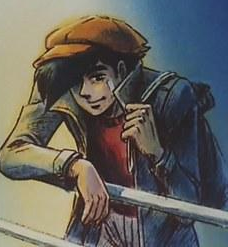 Manny has a staff in his GS1 official art. 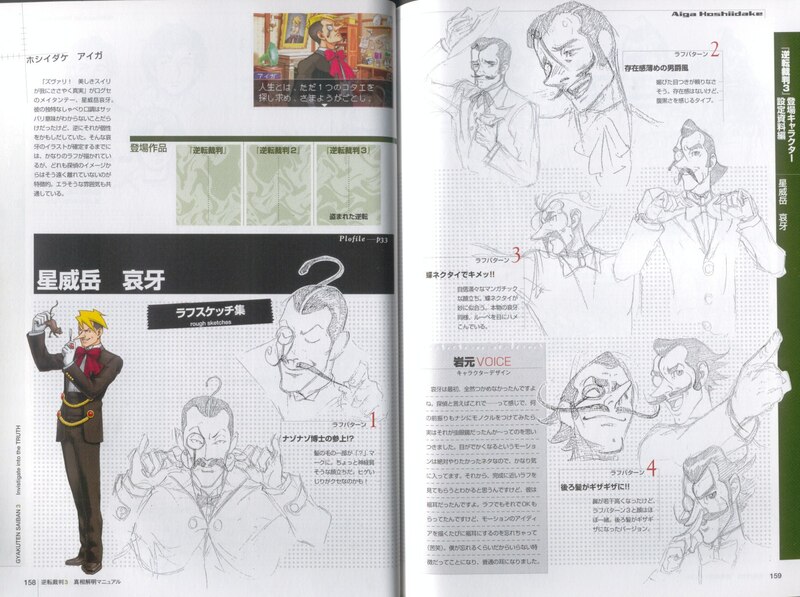 Anyway, I think that Edgey concept art actually looks a lot like Kristoph. You've got: (1) A demented laugh with a hand covering his face, (2) Some sort of writing/face/thing on the back of his hand (in the demented laught sketch), and (3) Him in a straightjacket... which implies solitary confinement. Concept Dahlia 1 and 2 plz. I actually thought Detective Badd looked like a combination of Beta Mentor and Beta Edgey. Wow, even looks like she could've been a sidekick! 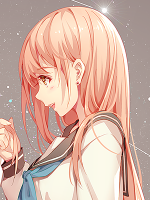 I'd like a new character based on concept Dahlia with school uniform. Oh snap! I do not hear such a truth...?! Stand back! I'm about to try SCIENCE! Location: Here. No wait, I meant there! Or In florida! Don't Hurt MEEE! Concept art 2 is your spunky female sidekick who's a little older--22--and is a reporter, and follows you around b/c she thinks it's the best way to get the scoop on the high-profile murders that occur in town. Manfred was Really the prototype of Edgey. i remember someone (Takumi?) said they wanna make the rival of Phoenix more interesting so they chose Edgey at the end. I doubt those unused chatacter will be used again... There must be a reason why they ended up in junk yard. Beta Luke Atmey is cool as all hell. I'm with 2 as well. However, we must realise: The beta character designs must have been scrapped for a reason, right? Just because they didn't think that character design would fit well with the character they intended to create in AA, JFA, T&T, AJ, or AAI doesn't mean that these old character designs won't fit with a character they will intend to put in GS5 or GK2. Yet, wouldn't using a scrapped character design be deemed as 'truly lazy' by the industry? It might work for extremely minor characters, but for anything major? Nah, no go. 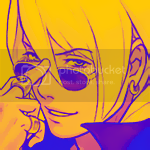 Except they have done that, multiple times even; Manfred takes elements from concept Edgeworth, Desiree IS concept young Mia and Agent Lang has elements recycled from concept Daryan (Those cross sunglasses being the most notable). It might be lazy, but if a concept is good, different enough from the design they finally used and fits the new character I see no issue in them reusing it. I'd disagree. 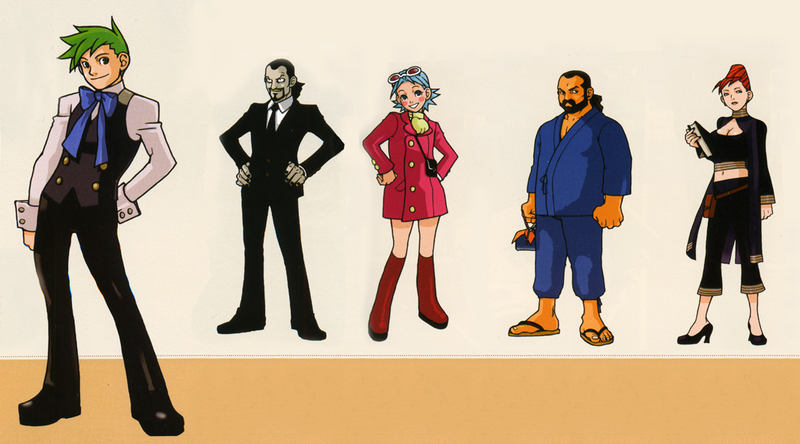 If the "elements" are "looking older, with more experience", then yes elements were taken from concept Edgeworth. Yet Manfred doesn't look like an evil vampire set on sucking your blood, now does he? Young Mia being Desiree? I've seen that concept art...close, but no cigar. They both have the biker girl atmosphere, but the clothing designs are completely different. I haven't seen Daryan's concept art, so I can't comment there. If the concept is good, then why wasn't it used for the original character in question then? 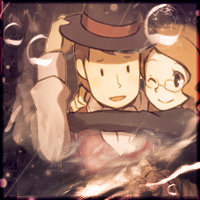 (Also, it can't be reused, as it hasn't been used yet.) If it was scrapped due to a better design being created, or there being a vote, then it's fine to use the concept art. However, if it was rejected because it was simply horrible...well...do you see what I'm getting at? There's a reason for everything. Being lazy shouldn't be one of them. I'm not saying that the characters are wholly based on the concept art, but elements of them certainly were. 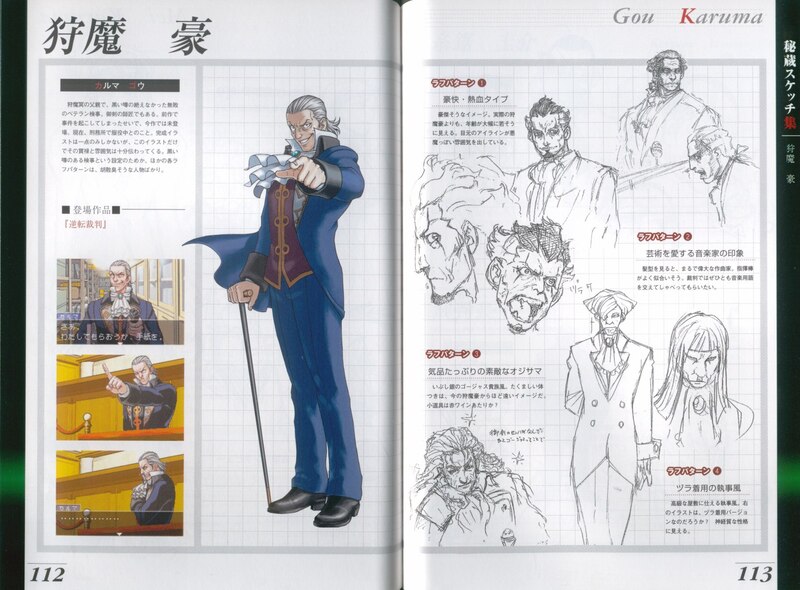 Concept Edgeworth's hairstyle, eyes, cane and overall demeanour are the same as Karma. Desiree on the other hand, well it would be simpler to say what wasn't the same; other than the clothes, goggles and beauty spot there really aren't any differences- even that single dangling strand of hair is the same. I don't think that any of the designs that we've seen are bad either, I just think they were dropped as other designs suited the characters more. Look at Dahlia for example, designs 2 and 3 and both very good, but they don't capture the whole "delicate flower" facade that Dahlia has. But yes, I'd certainly agree with you that recycling for the sake of it isn't a great way of doing business, but if the character design and the new character concept match up well I don't see there being a problem with them doing it. It's not like they've done it much either, I've given 3 examples, with only Desiree being a straight up recycle, given the cast of over 100 that isn't bad at all. Also, maybe sometimes the concepts were thrown out because the plot needed it? Concept Lisa Basil's TV host was clearly changed to computer programming for the sake of storyline so it's not too much of a stretch to think we might see someone like that. This is an interesting topic. I'll check the official art section and see what I like. Phoenix's clothes look like Franziska's clothes. 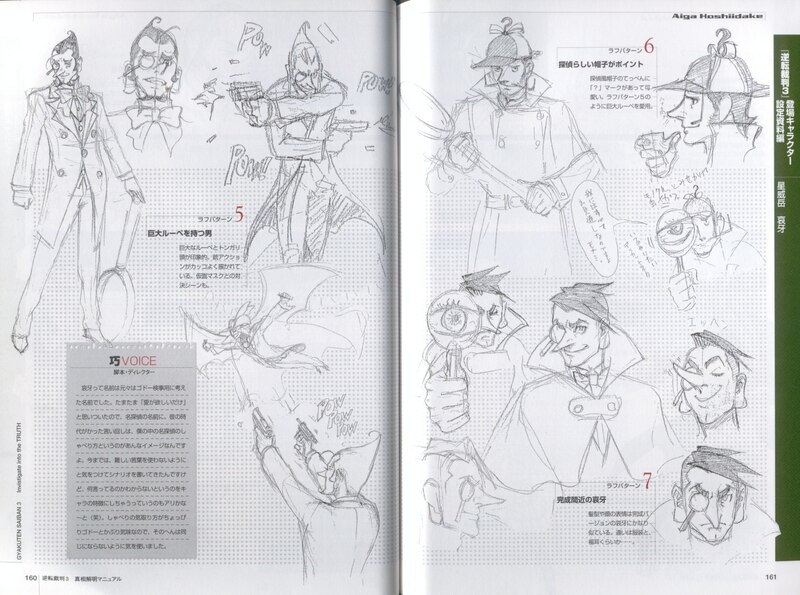 I'm fairly sure that it's been confirmed that they borrowed heavily from concept!Edgey when they made von Karma. And the assistant has Ema's glasses. That mentor kind of looks like a younger judge (what is he holding anyway?). The red-haired female detective who would later become Gumshoe looks kind of interesting. I think they should borrow elements from her. Designs 2-4 are made of win. If you make him look less like Atmey (change the nose, remove the monocle and some other stuff) it'd make a good detective character with a Linebeck-esque personality. Look at the one next to the one with the wig. Am I the only one who gets Gant vibes? Also, the smug/serious-looking guy in the middle of the bottom row could make an interesting judge or something like that. And for some reason, I ended up liking pretty much all the early concepts for AJ characters (except Kristoph) more than the final versions. 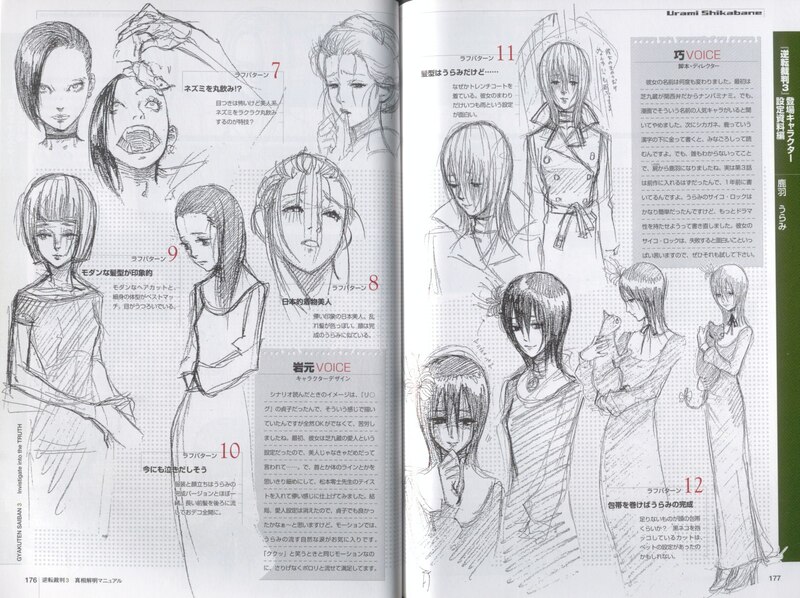 Viola has a lot though her 8 design gives me the image of Dahlia. Looks like she was designed more to be a witch....or similar to the Adam's Family's Wednesday originally. 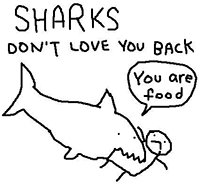 Despite being true to a point, there could easily be other reasons. 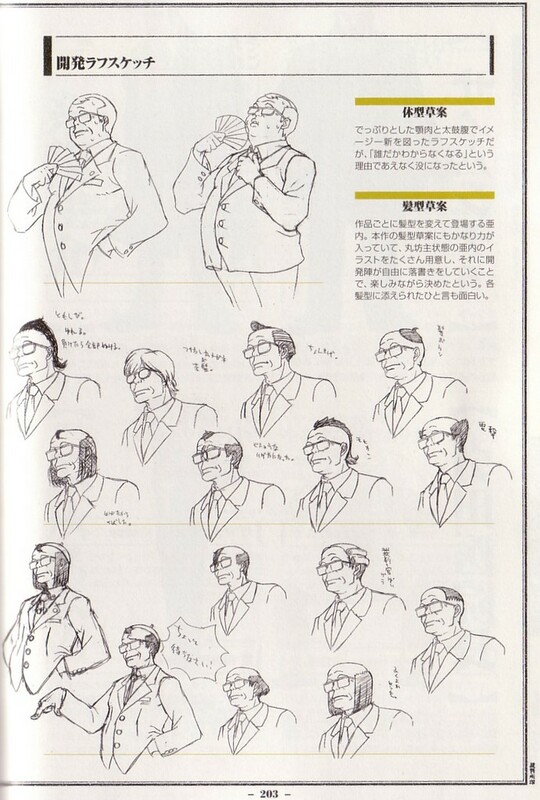 Let's look at this, taking a look at von Karma's actual concept art we can see that, from the beginning, he was designed with those eyebrows and overall demeanor in some betas. Since he's a pretty major character to the plot line, since some heavily story-centred authors normally start with the beginning, then go right to the end. This was probably to originally show some kind of influence from von Karma on beta Edgeworth, not that he was based off of him. It may have simply been the case of "Make von Karma older, Phoenix's defeat needs to look more spectacular!" After all, this is all nothing but speculation. A single stand of dangling hair, what we typically call a "bang", to me doesn't shout "HOLY CRAP RECYCLED!". I'd see it as: "Hey, let's make Mia a biker girl. I've already got some ideas thought up!" "That's nice and all...but does that fir Mia's personality? I can't really see her being like that..."
"True...but we have to have some form of biker girl, I demand it!!" "Fine...fine...we'll make some character a biker girl." 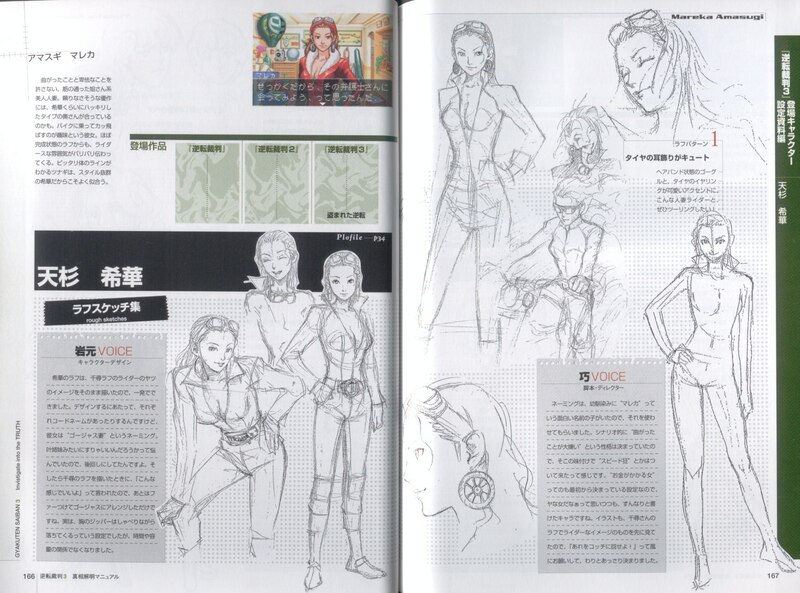 ...Consider the fact that Desiree's concept art shows her as always being a biker girl, and never something else. Young Mia and Desiree did début in the exact same game. Yes, and that's why they are generally called "concepts", correct? "We need a girl, she has such-and-such a personality, get drawing". Designs would be brought forth and, for Dahlia, rejected, with recommendations on how it should be improved given. "Oh, I think she needs more of a country feel" or "I think she needs longer hair". That'd be great and all, gathering they hadn't publicised their concept art. If they did it now, someone would notice and probably call shenanigans. 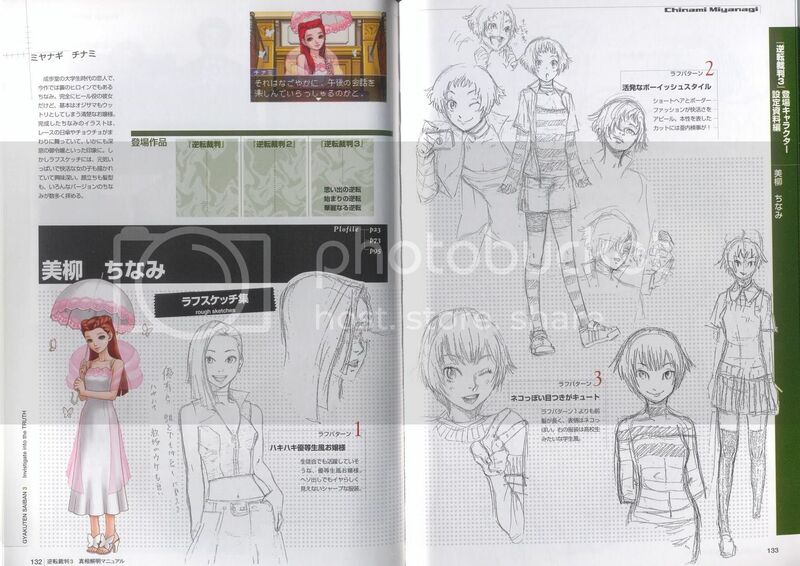 For such a thing to occur, it'd be smarter to withhold the concept art till after GS5 was released, then when the new character's page is created have something like a "fun fact" with some text saying "So-and-so was designed after an old concept of Dahlia that can be seen on page 48. Could you tell?" I know I'm sounding awfully negative, aren't I? (It does sound like more of discussion this way), I'd just like to see completely new character designs, not knock-offs simply for the sake matching character design (besides, I don't agree with the AAI character and Phoenix...a hat and character pose isn't all too much to go off of. Speculation...as everyone knows. I don't remember any of this being confirmed anywhere). what is he holding anyway? That'd be the average Japanese boxed lunch. I think the whole "mentor" look they were going for there was the "Shop owner" kind (his outfit does look like that of a store owner's). Dahlia Concept 1 looks like she could be Matt Engarde's sister. I like Dahlia #1. The closeup shows her having what looks like "laser" eyes, very nice Dahlia #2 is, not Dahlia! It looks like a completely different character. I'm thinking Vera with Kay's attitude. The camera part reminds me of Olga. IMO if they had used that one for her, she wouldn't have been as good of a villain. I also like Viola #10, and #12, especially the full view one where she's holding a cat. @OX: People didn't complain or "call shenanigans" when they used Concept!Lisa's outfit for Vera. I really don't think there's anything wrong with using previous concept art to make a new character, if the new character turns out different enough from the old character. Then they may as well have just made a completely new character in the first place. (Again...overalls and stripped undershirt. That doesn't mean they used Beta Lisa for Vera, does it? You're making a claim based upon incomplete evidence, I don't ever remember reading that any of this has been confirmed. If I'm aware, there are only really only three stereotypical clothing structures for a female artist. Undershirt and overalls, or long, white t-shirt and pants, or apron and dress). It's fine that you think it's fine to use concept character art for the creation of a new character. What I don't get is everyone's pushing that it has already been done, forgetting the word "coincidence". 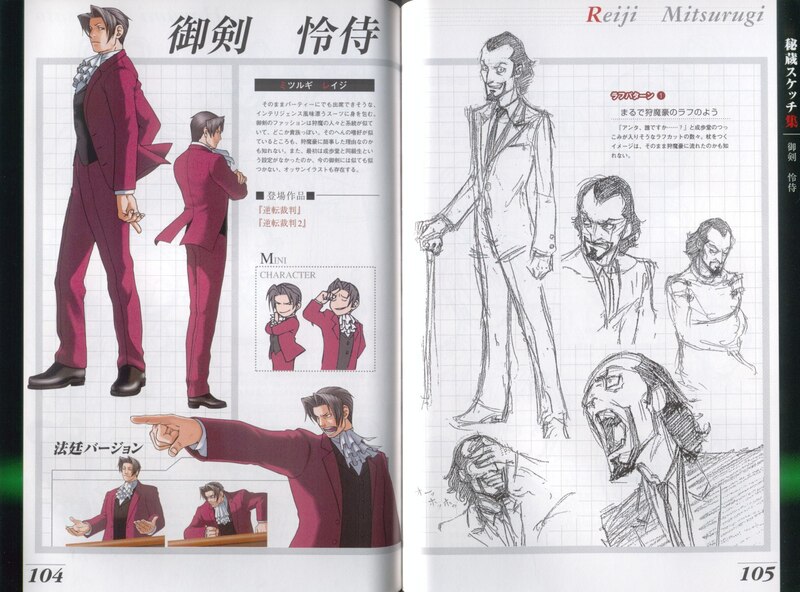 Much of Manfred's final look was based on concept art of Edgeworth. 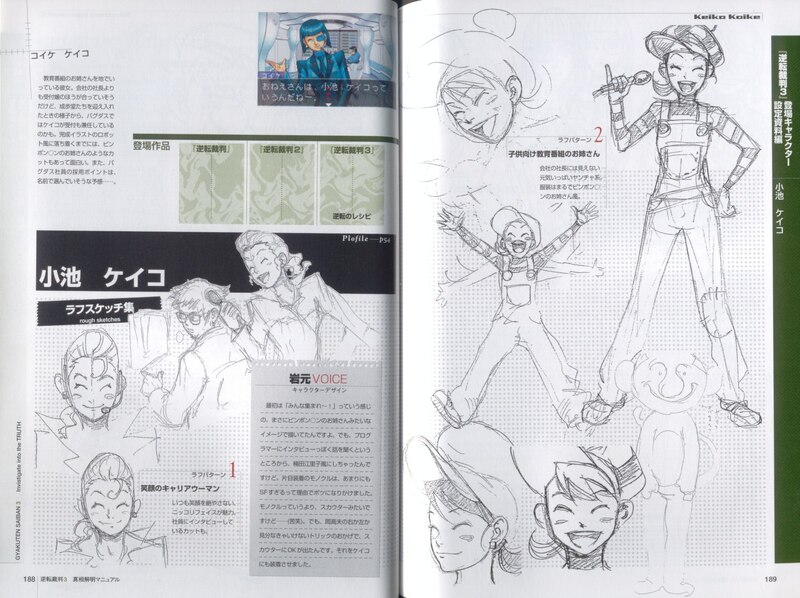 This is confirmed in the official artbook. And hahaha, Concept Viola 7. You could tell they were just screwing around at that point. Well, there we go, there's one confirmation. The rest of them, however, nada. ...It would have been sweet to see her randomly eat a mouse. I'm sorry, but I am having trouble understanding your arguments. 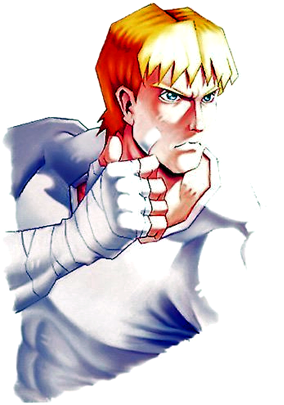 If they used old concept art to make a new character, everyone is going to be angry and complain. If they make a character that looks like old concept art by coincidence, nothing is wrong. How would people even know if it was intentional or by coincidence? Whether it was coincidence or intentional, Vera and Concept!Lisa have very similar clothing, and no one complained accused them of using that concept art for Vera. I'm saying that if they used old concept art to make a new character, it's lazy. If it was a coincidence, it was a coincidence. How do we tell? Well, they tell us of course. Because until they tell us directly, it's speculation, more or less defaulting to coincidence. Do you get what I'm getting at now? So what if it's lazy? If the end result is a good, unique character, what's the problem? Honestly, I don't think most of the concept arts are different enough from the finished character that they could use more than a few concept arts as characters, and have it be a regular occurence. Let's call them A, B, C, D, and E.
Yeah, they reused the prototypes and developed them more. There are a lot of Ace Attorney characters, so I could see at least 100 characters being created from concept art when lazy. E is more like Misty Fey. Nah I'm judging from their supposed roles. Plus maybe a little of the clothes? Dont'cha mean C is like Franzy? Because A is concept Phoenix. Mostly a lurker now. I used to be active once upon a time. Thank you PandaPrinzessin for the sig and avy, I love them!